Even as community wealth building efforts expand across the country, many U.S. federal tax and expenditure policies continue to act in a contrary manner, concentrating wealth and income among a few. As a result of this growing inequality, many state and local governments are having greater difficulty providing basic public services. 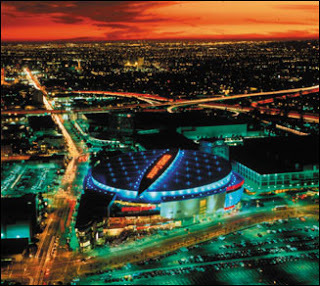 Negotiations around the development of the Staples Center, a large multi-purpose sports arena in downtown Los Angeles, resulted in the first community benefits agreement in 2001. The Center’s private developers received over $70 million in subsidies from the city in exchange for commitments to employ local residents, job-training programs, a public park, affordable housing, and a living wage policy. Since then, at least 26 other community benefits agreements have been signed in localities across the country. In response to this trend, there has been a flurry of grassroots activity at the state and local level to help close the expanding income and wealth gap, and rebuild local economies. Areas of innovation include millionaire taxes, corporate subsidy disclosure laws, local minimum wage laws, retail store caps, community benefits agreements, tax credit assistance efforts, time banking, local currencies, and state and city-owned banks. For an initial list of more than two-dozen policy innovations and new directions already underway in cities, counties, and states around the country, click here. Many efforts (e.g., minimum wage laws and tax credit assistance) provide people with additional income, which encourages greater savings and helps inject more dollars into local economies. By limiting the permissible size of a single establishment, retail store caps discourage the expansion of chain stores and help safeguard the development and success of smaller, locally-owned enterprises. By requiring private developers to meet specific local economic development objectives in exchange for public subsidies, community benefits agreements help ensure that development projects create job opportunities for local workers and enhance local neighborhoods. State or city-owned banks, in particular, boost the amount of capital available to people and communities that are not well served by traditional financial institutions while providing additional revenue to localities for public investments. Our Support Organizations section features major organizations that are working to advance new state and local policies. One such group is the Business Alliance for Local Living Economies (BALLE), a membership organization that promotes localism and focuses on identifying and spreading innovative solutions and business models that can create healthier, sustainable, and prosperous communities. Our Best Practices section showcases exemplary organizations that are working to promote new state and local policies. For example, the Los Angeles Alliance for a New Economy has led dozens of efforts since 1993 to create good jobs, thriving communities, and a healthy environment. Its numerous successes include a living wage ordinance, several community benefit agreements, a ground-breaking “careers and green jobs” policy, and the defeat of a Wal-Mart ballot initiative. Our Research Resources section highlights web-based resources focused on new state and local policies. For example, Good Jobs First’s website offers tools and resources for activists, researchers, legislators, and journalists seeking information on development deals and interested in more accountable development practices. It also features the first national database of economic development subsidy awards. Our Articles and Publications section includes links to a diverse selection of articles, reports, and papers focused on new state and local policies. One such paper is ALICE’s Local Living Wage Ordinances: Experience, Evidence and Best Practice (2013), which provides evidence that living wage ordinances raise wages and boost local economies and highlights best practices for developing such ordinances. Lastly, our Toolbox features practical resources designed to help both on-the-ground practitioners and citizens. For instance, David Goldberg’s Choosing Our Community’s Future: A Citizen's Guide to Getting the Most out of New Development (2013) aims to help citizens understand and improve planning and development processes.